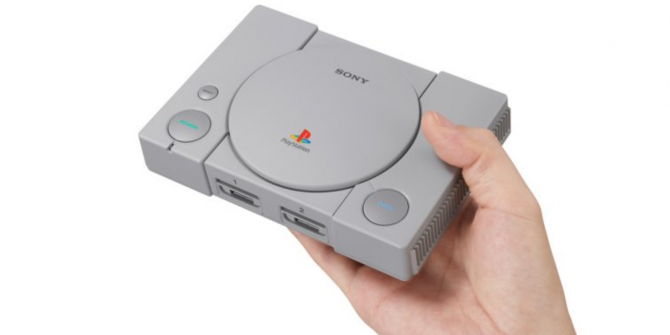 Sony has announced the PlayStation Classic, a reimagining of the original PlayStation for nostalgic nerds. Like Nintendo before it, Sony has realized there’s money to be made from bundling old games into new (and really rather cute) hardware. It has always been possible to play old games, whether legally (by hooking up old consoles or buying digital copies) or slightly less legally (with emulators and ROMs 30+ Great Emulators You Can Run on Your Nintendo Wii 30+ Great Emulators You Can Run on Your Nintendo Wii With these emulators, you can play virtually any retro video game on the Nintendo Wii. Here are the best emulators on the Wii. Read More ). However, the NES Classic and SNES Classic proved people wanted to own the hardware too. After seeing people go gaga for old Nintendo consoles repackaged for a new generation, Sony is jumping on the bandwagon. And where better to start than with the original PlayStation, which was released way back in 1994. The PlayStation Classic is an almost exact replica of Sony’s debut console. Except it’s 45 percent smaller, and has the cables required to hook it up to modern televisions. It also comes with two wired PS1 controllers for local multiplayer gaming. Games consoles are nothing without games, so the PlayStation Classic comes with 20 titles pre-installed. Sony hasn’t released the full list of games yet, but we know it includes Final Fantasy VII, Tekken 3, Ridge Racer Type 4, Jumping Flash, and Wild Arms. The PlayStation Classic is being released on December 3, 2018. It’s priced at $99.99 in the U.S., €99.99 in the EU, 9,980 yen in Japan, and £89.99 in the U.K. If the NES Classic and SNES Classic are anything to go by, demand will quickly outstrip supply. The main problem Sony has here is how many old PlayStation games are already available elsewhere. For example, Final Fantasy VII, the biggest draw of the games mentioned thus far, is available on all of the latest consoles, plus Windows, Android, and iOS. If this has made you feel nostalgic for your formative gaming years check out our list of the PS1 games we’re still playing today Get Nostalgic: Four PS1 Games We Still Love Going Back To Get Nostalgic: Four PS1 Games We Still Love Going Back To You can keep your Xbox One, PS4 and Wii U; the original PlayStation will always hold a special place in a generation's hearts. Read More . Or check out our overview of the NES Classic Edition Nintendo Brings the NES Classic Edition Back Nintendo Brings the NES Classic Edition Back The NES Classic Edition will be available in stores again from June 29, so if you know anyone who works in retail you should probably ask them to put one aside for you... Read More and our quick look at the Super Nintendo Classic Edition Nintendo Launches the Super NES Classic Edition Nintendo Launches the Super NES Classic Edition Retro gamers will soon be able to get their hands on a brand new Super Nintendo Entertainment System. This is thanks to Nintendo launching the Super NES Classic Edition. Read More . One step forward and two back..... why oh why.. ? Well done Sony.